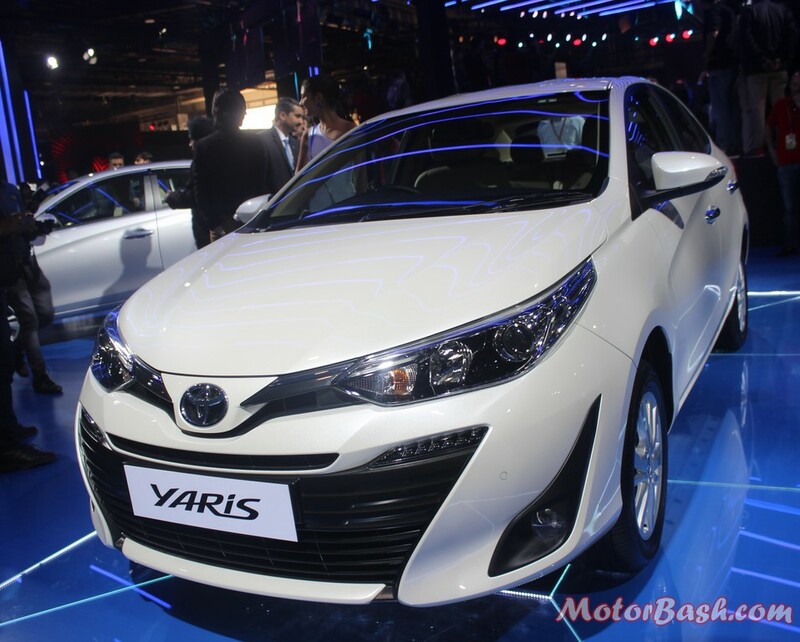 We already know that Toyota Yaris is expected to be launched in May. Now, just weeks before this, Toyota has started shipping the car to its dealers. 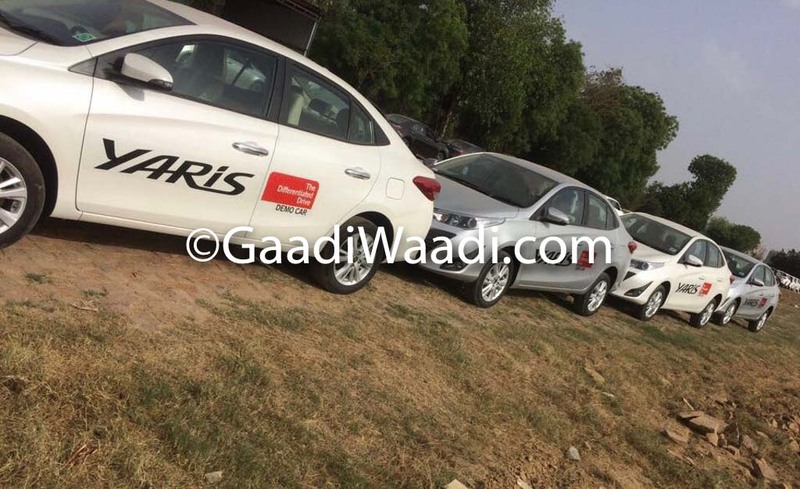 A report published by gadiwadi.com shared leaked images from, what looks like, a dealer stockyard. The cars, in the leaked images, look like display vehicles with branding on the sides. This means we can expect the car to be showcased at the dealerships pretty soon. 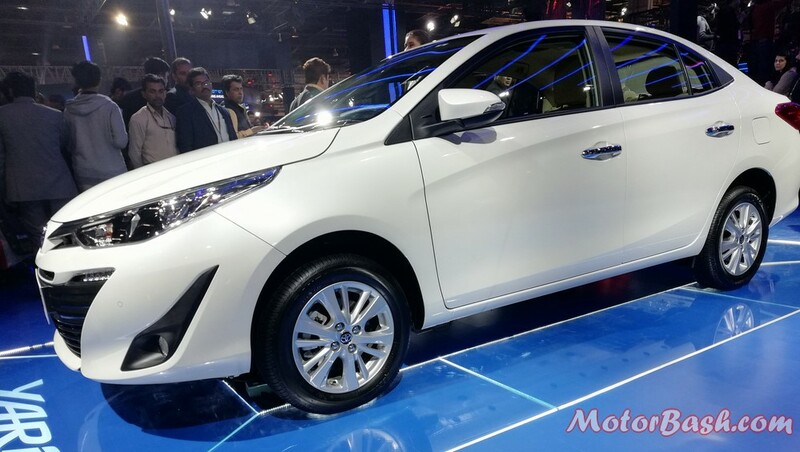 Toyota India unveiled their Yaris sedan during the 2018 Auto Expo. 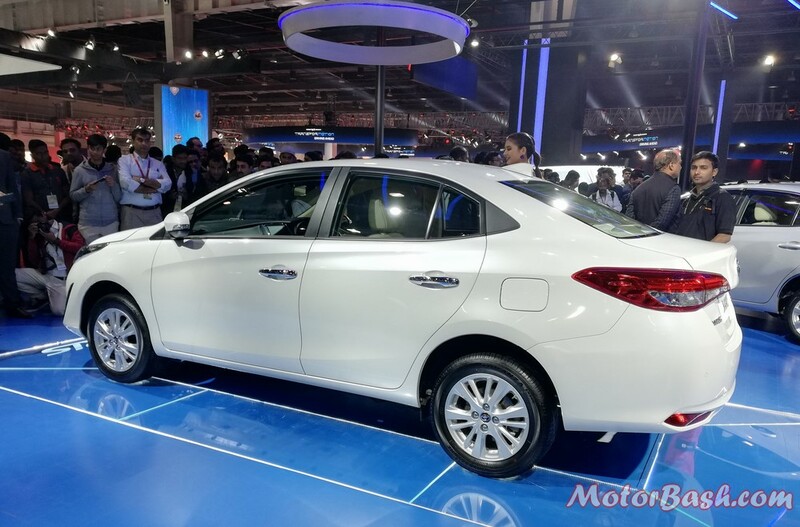 This car will help them plug a huge gap in their product portfolio and have an offering in the entry-level midsize sedan segment, in India. Dealers had already started accepting bookings of the car since early April with an amount of Rs. 50,000. 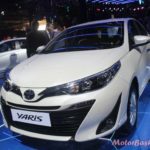 Toyota will offer Yaris sedan powered by a 1.5L petrol engine, mated to a 6-speed manual or a 7-step CVT transmission box. A diesel version is not planned at all. 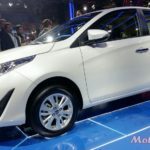 Toyota, while unveiling the Yaris sedan, highlighted that the car will be packed with many class first features and creature comforts. The car is expected to be priced between Rs.8.4 to 13.4 Lakh ex-showroom. A leaked order guide on TeamBHP shows that the car will be offered in four variants with CVT & three with the manual gearbox. Top of the line VX version will only be offered in the automatic CVT avatar. 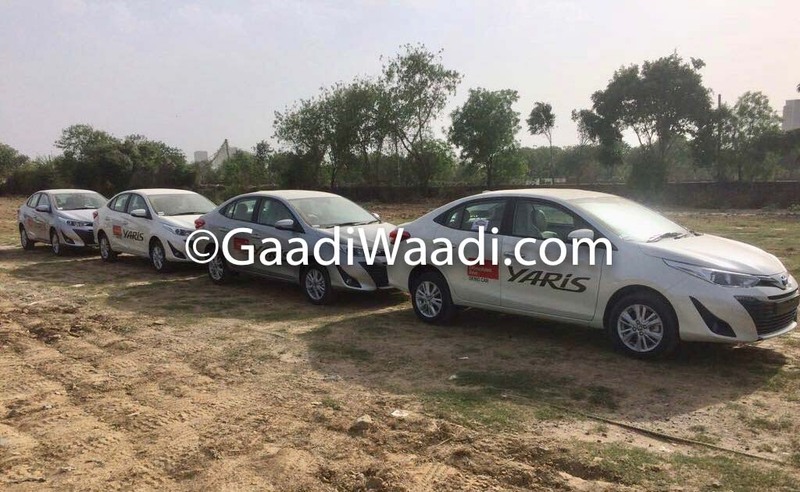 The guide also highlights that Yaris will be offered in 6 colour shades. Toyota has packed Yaris with features to the brim. If it decides to launch it in the speculated price range, the car is bound to give nightmares to its competitors. 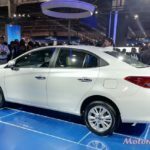 It will be competing against the likes of Honda City, Maruti Suzuki Ciaz, Hyundai Verna, Volkswagen Vento and Skoda Rapid.